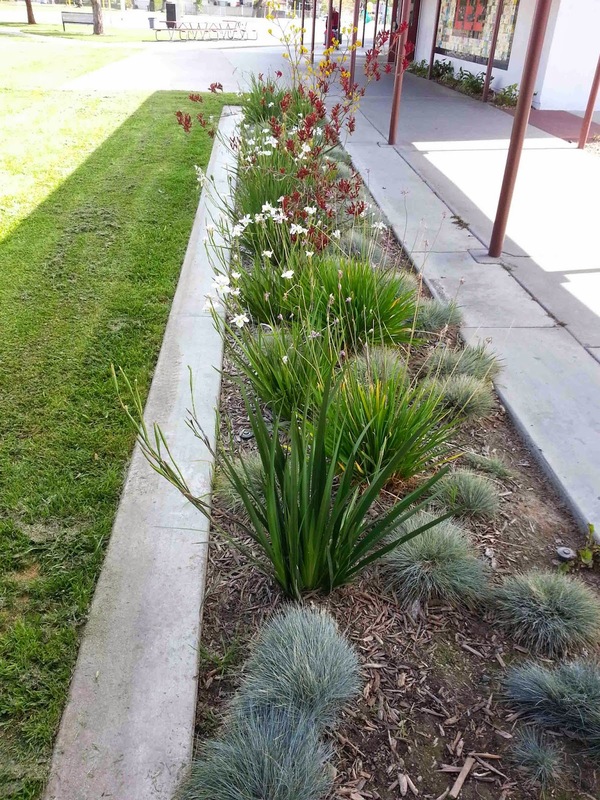 We recently visited Lee Elementary School in Los Alamitos to see how its garden and landscaping were coming along. A few months ago, parents and staff rebuilt the school garden as part of a modernization project of the school and began sprucing up the school's landscaping. What a difference! Renee Keeler's 2nd graders planted a wonderful garden with all kinds of vegetables and flowers. They planted everything you can think of: lettuce, carrots, kale, radishes, sunflowers, corn, tomatoes all kinds of peppers, cucumbers and even marigolds and other "natural" pest control flowers. Pumpkins will go in next month! Drought-tolerant landscaping is also filling out nicely.